Cork Floor and Wall Tile 48¢ sq. ft. Available in our Birmingham, Chattanooga, Chesapeake, Cincinnati, Columbia, & Nashville stores only. 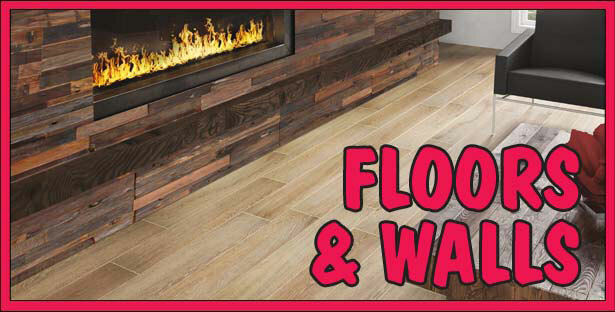 Laminate Flooring – starting at 48¢ sq. ft.
Vinyl Plank Flooring $2.39 sq. ft.
¾” Solid Unfinished Utility Hardwood Flooring – starting at 99¢ sq. ft. Subway Brick Tile – 99¢ to $1.29 sq. ft.
Porcelain/Ceramic Floor Tile – starting at 29¢ sq. ft.
Large Format Tile – starting at 66¢ sq. ft.